Dimethyl disulfide (DMDS) is an organic chemical compound with the molecular formula CH3SSCH3 which is the simplest disulfide. It is a flammable liquid with an unpleasant, garlic-like odor. Dimethyl disulfide along with dimethyl sulfide and dimethyl trisulfide have been confirmed as volatile compounds given off by the fly-attracting plant known as dead-horse arum (Helicodiceros muscivorus). These flies are attracted to the odor of fetid meat, they help pollinate this plant. Important reactions include chlorination giving methanesulfenyl chloride (CH3SCl), methanesulfinyl chloride (CH3S(O)Cl), and methanesulfonyl chloride(CH3SO2Cl) as well as oxidation with hydrogen peroxide or peracetic acid giving the thiosulfinate methyl methanethiosulfinate (CH3S(O)SCH3). DMDS is used as a food additive in onion, garlic, cheese, meats, soups, savory flavors, and fruit flavors. 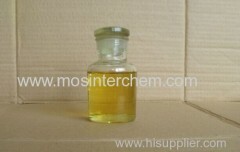 Industrially, DMDS is used in oil refineries as a sulfiding agent. DMDS is also an effective soil fumigant in agriculture, registered in many states in theU.S.as well as globally. In this capacity, DMDS is an important alternative in replacing methyl bromide, which is being phased out. This pesticide is marketed as "Paladin" byArkema. DMDS is used to alpha substitute 2-methylfuran-acrolein to produce a food stuff used in concentrations from 0.02 ppm up to 50 ppm. DMDS is a stable pale yellow liquid which works as an effective product in the sulfiding process because of its high sulfur content. It is the sulfiding industry's reagent of choice because it offers more sulfur per pound of reagent when compared to its nearest competitor dimethyl sulfide. 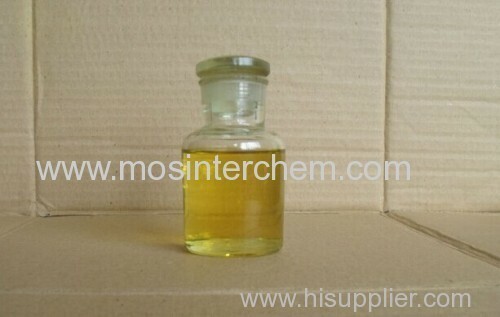 DMDS is used in the preparation of 4-(methylthio)phenol which is used in the production of various pesticides. DMDS and chlorine are reacted with borontriflouride phenolate to produce 4-(methylthio)phenol. Thiophene and DMDS are blended with combustible hydrocarbon fuel gas to impart a gassy odor to the fuel gas. DMDS is used as a sulfiding reagent to control catalyst activity.